← The Straits Course is on the Books! Have you ever tried looking for reviews and photos of private golf clubs in Wisconsin? If you have searched for Milwaukee Country Club, North Hills, Horseshoe Bay, Pine Hills, or Tuckaway, chances are my articles on them came up very quickly. After some research, I have not been able to find anyone else in Wisconsin doing this, and the reviews I post about these private clubs receive an unbelievable amount of traffic. Wisconsin golf enthusiasts want a peek behind the curtains at these prestigious courses, and I can’t blame them: I do, too! Most country clubs do not have a marketing budget, so attracting new members relies entirely on word of mouth. Even then, chances are you will never see the actual course until you’re there on site. My main writing goal for the 2014 season is this: To become the preeminent golf writer on Milwaukee area private golf clubs. There are also plenty around the state that I’d love to get to, like Cherokee and Bishop’s Bay Country Clubs in Madison, or Oneida and Green Bay Country Clubs in the Green Bay area, etc. My ask of you, my readers: If you are able to help facilitate any of these trips, please reach out to me so we can hopefully get something scheduled! It’s May 4 and I’ve gotten out 22 times so far this season, with my first actual round on the Straits course at Whistling Straits coming up on Thursday. I couldn’t be more excited. I hope you’re all enjoying a great start to the 2014 season. Let’s all keep our fingers crossed for better weather soon! Mr. Z, I appreciate your feedback. I just checked out WindyCityGolf and it's a great looking blog! I might be heading to Cantigny later this month for their 25th anniversary – how do you like the courses there? From one “blogger” to another, love your website! I will post a link from my website, the Windy City Public Golfers Guide…www.windycitygolf.blogspot.com Good Luck! Correct. Great track. Pine Hills is another. I think maybe Maple Bluff in Madison but not quite sure. Dan that would be great! 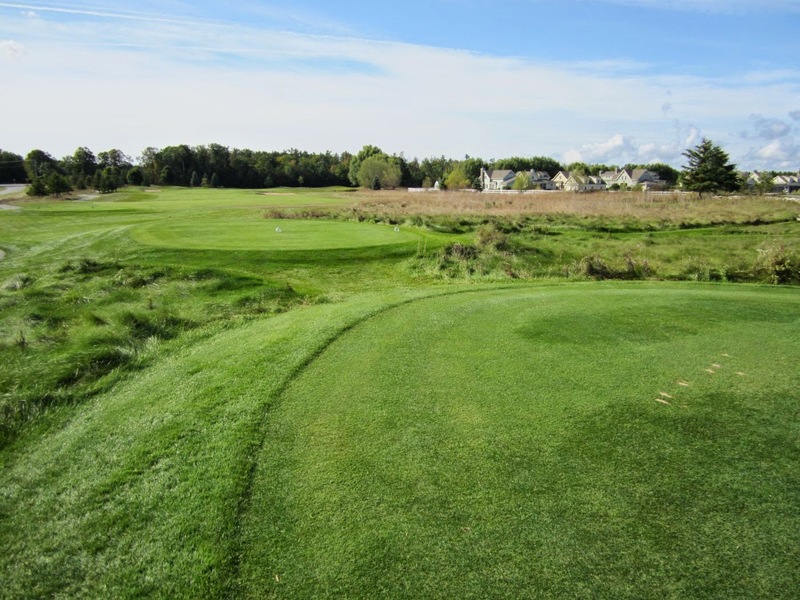 I've heard awesome things about West Bend (Langford/Moreau course, right?) and can't wait to check it out. What other courses do we have reciprocity with? Paul, we get reciprocity at West Bend. Let's get a group of NH guys to head up there, maybe on a Friday aft? Great golf course. If you need a photographer or forecaddie….